The 2016 Photo Competition is here! 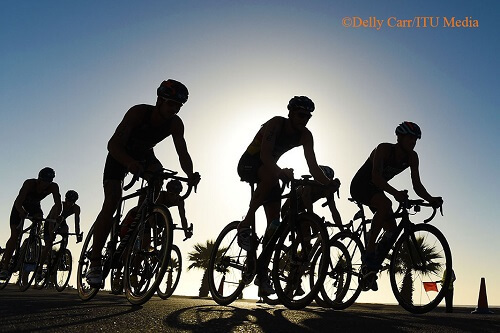 At ITU, we have three of the most talented photographers from around the world who shoot the World Triathlon Series and major events for us, Delly Carr (AUS), Janos Schmidt (HUN) and Wagner Araujo (BRA). So what better way to end out the year and kick start into the next one by showcasing some of our favourite photos that they have taken? And because we love competitions, why not put our photographers on the start line and let YOU decide which photo was the overall best photo from the year? 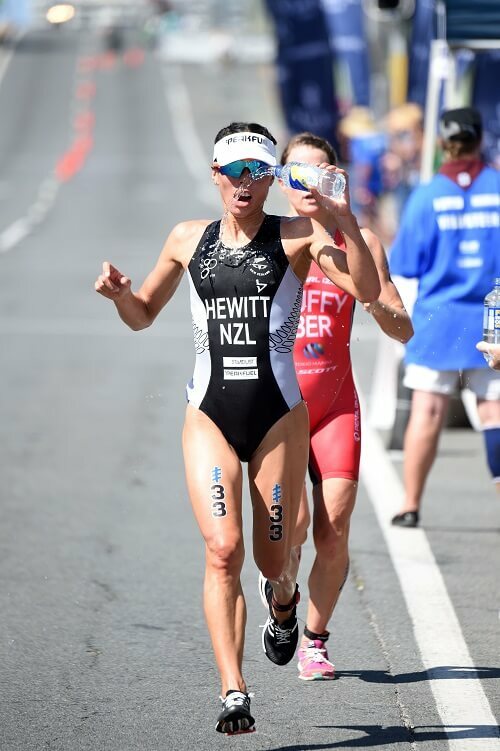 So over the next six weeks we are gong to take a look back at some of the best photos from the WTS and Olympic and Paralympic Games and then you can vote on which ones were your favourite! The most voted on photo from each competition will then go head-to-head until we crown the overall best photo from the year! 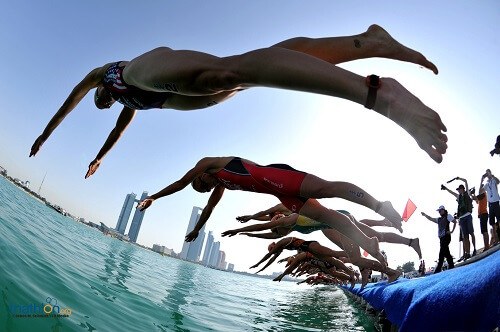 First two races in contention are the first two races in the World Triathlon Series - Abu Dhabi and Gold Coast! 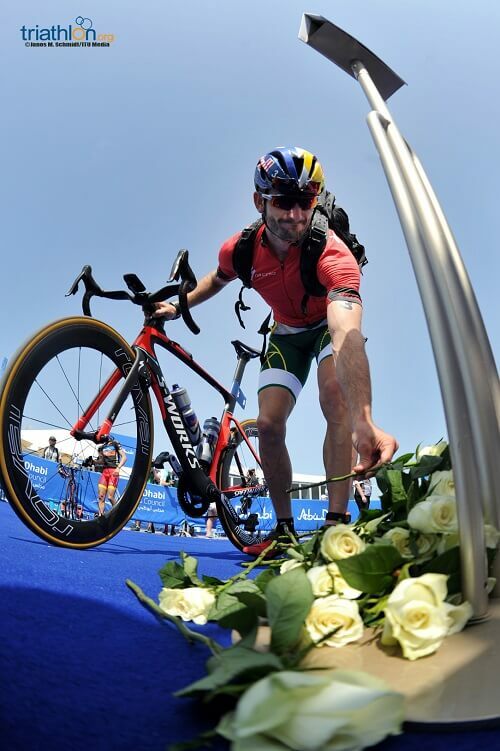 2016 ITU World Triathlon Abu Dhabi for the second year in a row opened up the WTS season, but this year the competition started with an emotional tribute to an athlete that left us too soon. 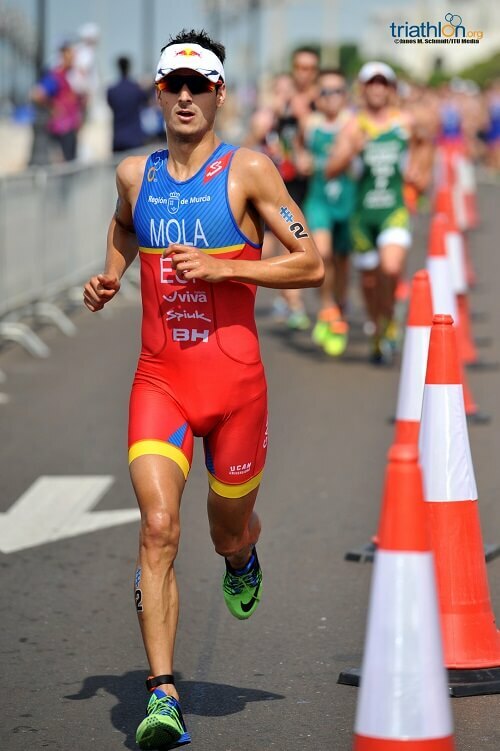 Athletes raced in remembrance of Laurent Vidal (FRA) and that can be seen through the photos. 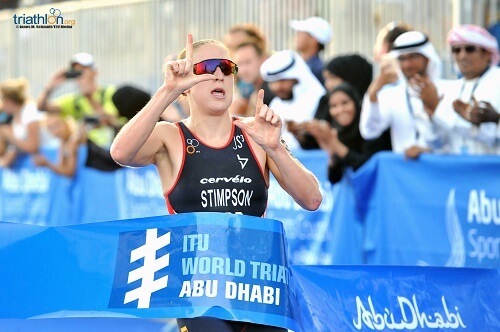 While Spaniard Mario Mola held onto his Abu Dhabi crown for the second time and Brit Jodie Stimpson returned to the top of the podium for the first time since 2014. Abu Dhabi was shot by our Hungarian Janos Schmidt. 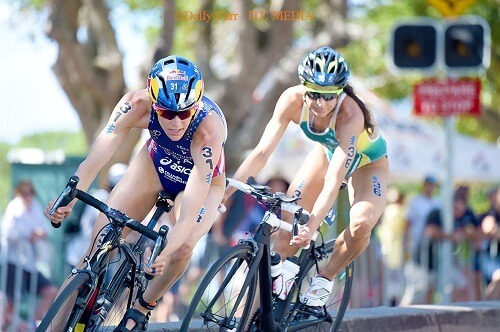 The next stop in the WTS was in Gold Coast, Australia. 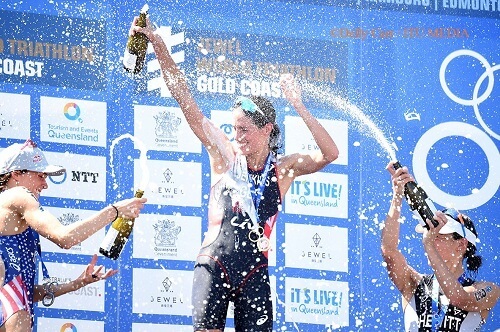 Gold Coast became the stop where Helen Jenkins returned to her former glory and solidified her place on the British Olympic team. 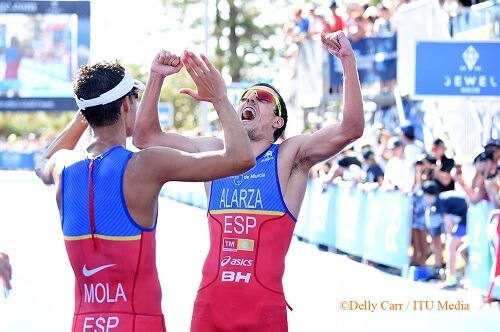 While on the men’s side Mola went two-for-two and snagged his second WTS title of the year, while his compatriot Fernando Alarza earned his place on his first WTS podium - hence the photo of his expressive excitement! Gold Coast was shot by the ninja himself - Delly Carr.